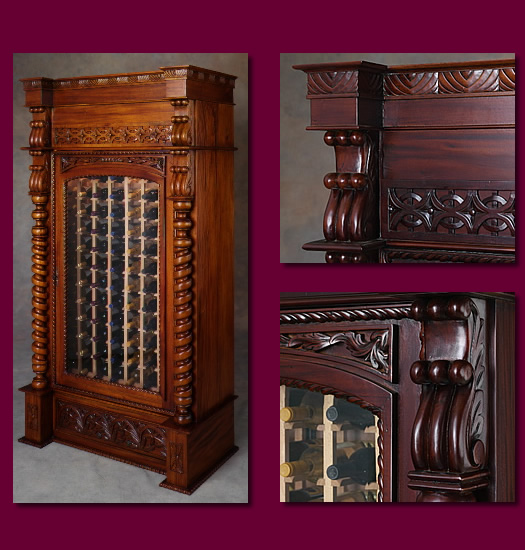 A custom wine cellar from Baalbekcellars.com combines modern technology with an attractive, handcrafted wooden wine cabinet. This incredible unit rivals vintage wine cellars and custom made furniture in appearance but adds the convenience of humidification and refrigeration systems. At Baalbekcellars.com you can fully explore the features of this incredible wine cellar refrigerator.